Growing up talk of “spiritual warfare” tended toward the demonic menaces of “spirit beings” aligned with Satan. I recall hearing Sam Cathey preach at our State Evangelism Conference in the early 1980’s. His stories of encountering the demonic sent chills down the spine. We left charged to understand, “We wrestle not with flesh and blood.” Over the years I have found those willing to suggest another nuance to this description. The suggestion is not necessarily the absence of the demonic, but instead the understanding we wrestle with systems and structures fallen with little systemic interest in the well-being of people. Consequently when battling the Roman Empire, for example, it may well have been Christians were battling forces in “heavenly” (elevated) places that warred against the very Good News of Jesus, the Christ. Chapter two is titled, Disordered Vision. Keeping with the underlying premise that we continue to battle racism and classism, even in the Church, Metzger notes what he considers the “Consumer Trade Triangle” that distorts the Church’s vision of the world. From this point forward it should be noted Metzger interacts with Michael O. Emmerson and Christian Smith’s, Divided by Faith: Evangelical Religion and the Problem of Race in America. The three sides of this “consumer trade triangle” are: consumerism, upward mobility and homogeneity in the church. “Some of my best friends are black.” These statements belie the underlying arrogance as if to say in my cadre of friendships I pass the test of being racially sensitive because I can name of few people of color among my friends. Metzger suggests we have been blinded by our own insistence issues of race belong to the “ante-bellum” South. Metzger suggests, and rightly so, racism and classism follow economics. He stings the reader with the reality of econmic forces on our view of people. Success blinds us to the forces at work against us. “It is often about satisfaction at the least cost.” (p.48) As a result the prophetic voice is muted, especially when it strikes at the heart of that which makes us satisfied. In this section Metzger offers a careful evaluation of the ministry of Purpose Driven Church, Rick Warren, and Saddleback Church. 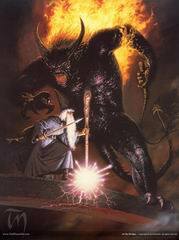 Metzger treats “Evangelical Social Structures” as an area where the church may be peculiarly blind to the effects of the “consumer trade triangle.” It is at this point we might insert the “Evanglical Balrog,” the system at work undermining the “complete” effects of the Gospel. We Americans may find it hard to accept critique where those systems and structures we helped create have at the present become catalysts for the very kinds of life change brought by the Gospel. Noting the results of extreme individualism and which promotes solutions only in terms of the individual. Therefore, if racism and classism inhere structurally they cannot be seen as those in the Church consider the ills as they rest only on the individual. Dr. Metzger adds the fertile ground of a small group basis for continuing to breed the very atmosphere the Gospel undermines. We evangelicals have been structured historically and culturally in such a way that we are often blind to the divisive forces arrayed against us. The Bible sheds light on our historical and contemporary situation and provides clues for engagement in the present hour. . . . The church must rediscover its own story and its sacramental means of sustenance in order to reconfigure the structures to defeat consumerism and its depersonalization and dehumanization of the world with all that entails for race and class divisions. Only when the church makes such rediscoveries and reconfigurations will its own witness to the gospel prevail in the struggle against this Balrog and the forces of Mordor. As in the case of Frodo and his friends, it will require that the fellowship be centered in a firm hope in the reigning and returning King.